This web site contains details of model Steam Powered aircraft, engines, control devices, fuels, boilers and steam generators that have been built by the writer. Also detailed are items built by earlier exponents of this method of propulsion as well as others that are at the design or concept stage. A steam engine that can fly a plane must seem an anathema to the majority of modellers and aviation enthusiasts today. However the story of aviation did not start with the Wright Brothers! It is unfortunate that the spectacular progress of technology over the last century tends to over-shadow the huge contributions of the early pioneers. I have always had an interest in the history of science and engineering and this interest has found me a subject in the 'flying steam engine' that offers limitless avenues in which to experiment, research, invent and improve just for the joy of doing it. 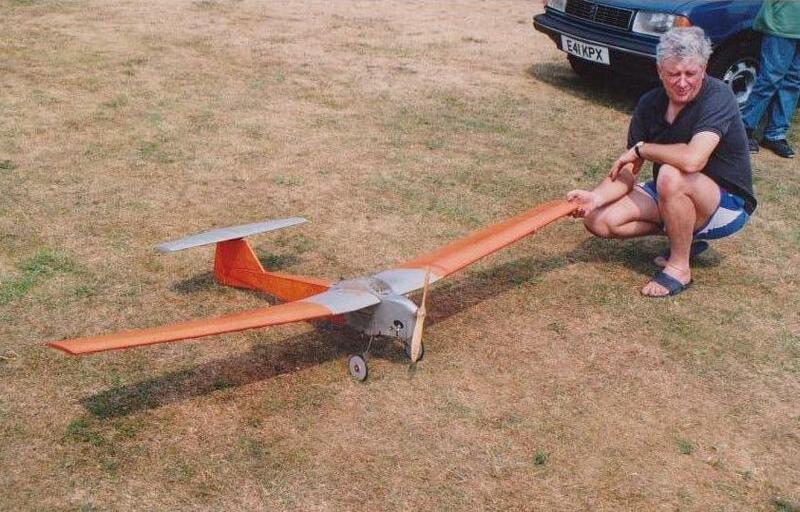 My original desire was to fly something very different. I quickly saw that the Engineering challenges are considerable, there are still countless new avenues for the home mechanic/model engineer to explore. My experience to date indicates that there is no forseeable limit to the lengths that appropriate techniques could take the determined experimenter. For example I believe it possible to build a small radio controlled steam powered aircraft that would weigh less than about 340 grams (12ozs). I also know from practical tests of static thrust against duration and machinery weight that a flash steam powered RC helicopter can be made a flying reality! Indeed such a machine has aready been built, look under History above, Parsons (alphabetical) and there is a photograph of a steam powered helicopter which lifted its own weight in the late 19th century. Not surprisingly there are very few people in this field of endeavour! For all I know I may be alone, one of the reasons for setting up the original flysteam web site in 1998 was to try to find others who are at least fascinated by the idea, if not active in engineering solutions to some of the problems. I am under no illusions about the nature of steam power related to flight, it cannot compete with a modern engine in any practical way but from an interest point of view it has no equal! If you want a show stopper, fly a steamer! The earliest attempts at powered flight were conducted with models and were powered by rubber, clockwork systems and of course steam. Few of these resulted in recorded events of real flight and one of the problems then, same as today is eliminating excess weight. Modern materials can help and if you want to, you can use them, as I do at times but they are not an absolute necessity. Cast iron, steel, brass, copper and nickel silver were all available in the l9 th century and will build a perfectly viable flying steam engine. The real answer to excess weight using these simple materials is design. The first two engines I built used designs by two English designers Mr H.H. Groves and Mr. David Parker, my latest work is with an engine and components of my own design. In order to design a lightweight steam engine for a model aircraft, car or boat you have to forget locomotives! A model loco needs it's weight for tractive effort on very slippery iron wheels running on steel or aluminium track. The boiler is the heaviest component in most steam engines and it is therefore the first place to start saving weight whilst preserving safety. I would like to hear from Mr Lee Acree of Seattle USA, GEW. This Email address will be changed----often!